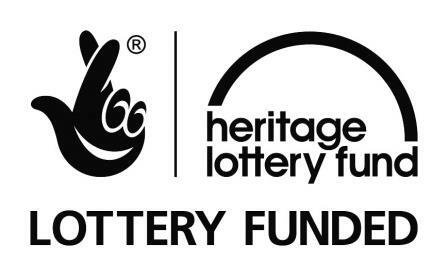 Nurturing Worcestershire's Treasures was a heritage training project funded through the Heritage Lottery Fund's Skills for the Future programme. Trainees spent 15 months following a structured training programme including work-based learning and studying for a Post Graduate Certificate. Since 2011 the medical museums have hosted three trainees as part of the Heritage Lottery Fund's Skills for the Future programme. Laura Butland, Kerry Whitehouse and Henrietta Griffiths, respectively, worked with staff and volunteers at events, assisted with collections work and delivered their own activity project while also studying for a heritage qualification. Scroll down the page to find out about the three SFTF trainees, click here for the project blog covering what the other trainees and partners were up to or click here to find out about the museums' current project with the British Museum. With a background in Genetics, Laura Butland joined the museums in 2011 before the Infirmary Museum was formally opened. She assisted with exhibition research for the new gallery as well as events and collections. She played a key role in helping to move the objects from storage at the George Marshall Medical Museum to the display to the Infirmary Museum. She also created a workshop about DNA. Before her traineeship Kerry Whitehouse volunteered at the George Marshall Medical Museum, helping to transcribe oral histories and with collections care during our Spring Clean and during the move to the Infirmary Museum (alongside Laura). During her traineeship, Kerry focussed on marketing the museums, and planned and delivered two events about the Black Death. Henrietta Griffiths joined us from Norfolk Museums Service, where she had been working with the collections team. She focussed on assisting at events and with educational workshops, including developing a Key Stage 3 D&T workshops about prosthetics. Along with the other tranche of trainees, she also helped with a pop-up event in Reindeer Court as part of the Worcester Festival 2015. The supervisors from the host museums got together for their last meeting after the third tranche of trainees had finished their Traineeship in late 2015. With thanks to all the partners for their support, along with the University of Worcester and Worcestershire County Council. Special thanks go to Alex Kinnersley, the Project Officer.